A struggling actress earns the lead part in the production of 'A Christmas Carol', and falls in love with the director. But, the cast and crew need a Christmas miracle to save the show when the theater loses its lease. For nearly a decade, the small town of Chapleau went without a regular family doctor, leaving the community alienated and isolated. 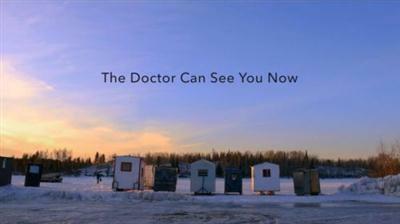 In 2005, the Northern Ontario School of Medicine was established to train doctors from the north for the north. Former nurse Doris Mitchell, from nearby Brunswick House First Nation, entered the school in midlife. She and two other graduates now serve as family doctors in the community from which they came, becoming models for innovative rural health care. In the shadow of a De Beers diamond mine, a remote indigenous community lurches from crisis to crisis, as their homeland transforms into a modern frontier. Rosie Koostachin delivers donations to families who live in uninsulated sheds, overgrown with toxic mold. She is determined to raise awareness, believing that if only Canadians knew, her hometown's dire situation would improve. Over five years, filmmaker Victoria Lean follows Attawapiskat's journey from obscurity and into the international spotlight twice - first when the Red Cross intervenes and again during the protest movement, Idle No More. Weaving together great distances, intimate scenes and archive images, the documentary chronicles the First Nation's fight for justice in the face of hardened indifference.